Big Little Lies is an American 60 minute scripted mystery television series, which kicked off on February 19, 2017, on HBO and is broadcast every Sunday at 21:00. The show is currently in its 2nd season. HBO has officially confirmed the renewal of Big Little Lies for Season 3. The exact release date is yet to be announced so far. Sign up to track it down. Told through the eyes of three mothers -- Madeline, Celeste and Jane -- Big Little Lies paints a picture of a town fueled by rumors and divided into the haves and have-nots, exposing the conflicts, secrets and betrayals that compromise relationships between husbands and wives, parents and children, and friends and neighbors. James Tupper, Jeffrey Nordling and Iain Armitage Return for Second Season of HBO's "Big Little Lies." 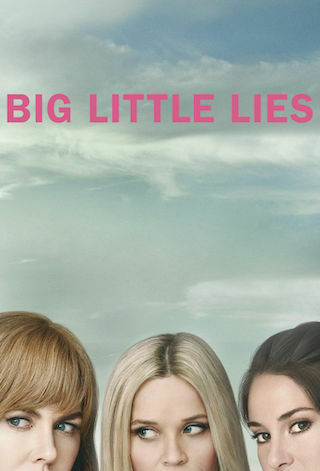 The subversive, darkly comedic drama BIG LITTLE LIES will explore the malignancy of lies, the durability of friendships, the fragility of marriage and, of course, the vicious ferocity of sound parenting. Relationships will fray, loyalties will erode... the potential for emotional and bodily injury shall loom. David E. Kelley will write all seven scripts based on a story by Liane Moriarty, and executive produce; along with executive producers Kidman and Per Saari through Blossom Films, Witherspoon through Hello Sunshine, Bruna Papandrea, Jean-Marc Vallée, Nathan Ross, Gregg Fienberg and Andrea Arnold, who will also direct all seven episodes. Reese Witherspoon, Nicole Kidman, Bruna Papandrea and Per Saari optioned the film and television rights to Big Little Lies by best-selling author Liane Moriarty. The novel debuted #1 on the New York Times best seller list.